Friends of the Earth reacts to to new research led by the University of Leeds which highlights the impact of traffic-related air pollution on childhood asthma. 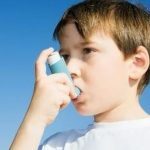 “Bradford’s rates of childhood asthma are a chilling reminder that air pollution is a public health crisis, and it is our children that are bearing the brunt of it. Swift action is needed to clean up Bradford’s air, with the wellbeing of residents depending on it. “As road traffic is a major source of air pollution we need to see measures urgently put in place to help people out of private cars and into cleaner alternatives. Investment to make public transport more reliable and efficient, as well as improved walking and cycling infrastructure, is key to this.